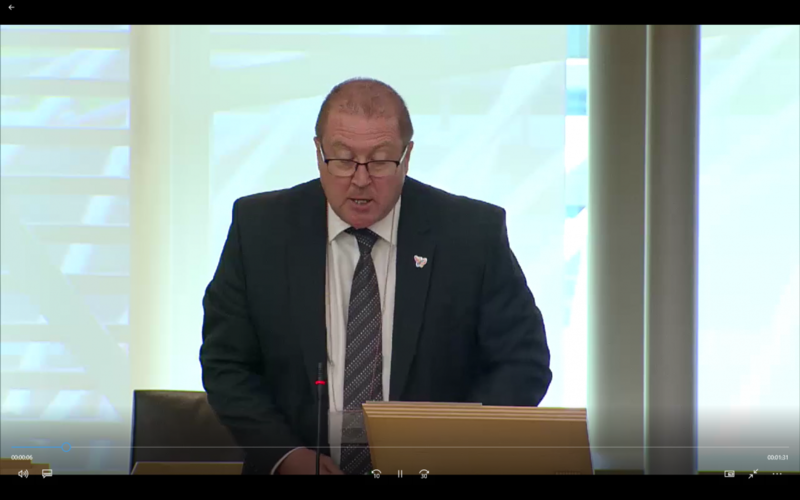 At General Questions, Graeme sought an update from the Transport Minister on the study that BEAR Scotland has been conducting regarding road safety on the stretch of the A90 that runs through his constituency, around Inveraldie, Tealing and Petterden. There has been a significant improvement in driver behaviour and speed limit compliance since the average speed camera system became operational on the A90, in October 2017. Speed surveys that have been carried out between Dundee and Stonehaven have shown that 99 out of 100 vehicles are now complying with the speed limit. That is a significant improvement when we consider that three out of five vehicles were speeding prior to the installation of the technology.The improved levels of speed limit compliance are leading to fewer camera detections, fewer fines for drivers and, most important, safer roads for communities and all users of the A90. That is, indeed, very welcome. The minister will be aware that BEAR Scotland has been conducting a road safety study into the stretch of the route that runs through my constituency, around Inveraldie, Tealing and Petterden. It has been looking specifically at the interaction between the A90 and the series of junctions at which my constituents need to cross that busy route to access public transport. Can the minister advise me when we expect to see the final report and its recommendations? Graeme Dey has made a good point. Average speed cameras are not a magic bullet and must be used in conjunction with a number of other road safety improvement measures. The member is aware of the study that has been undertaken. Discussions on the topic were held between Transport Scotland, BEAR Scotland and the local communities in April 2018, and the final report is expected in summer 2018.